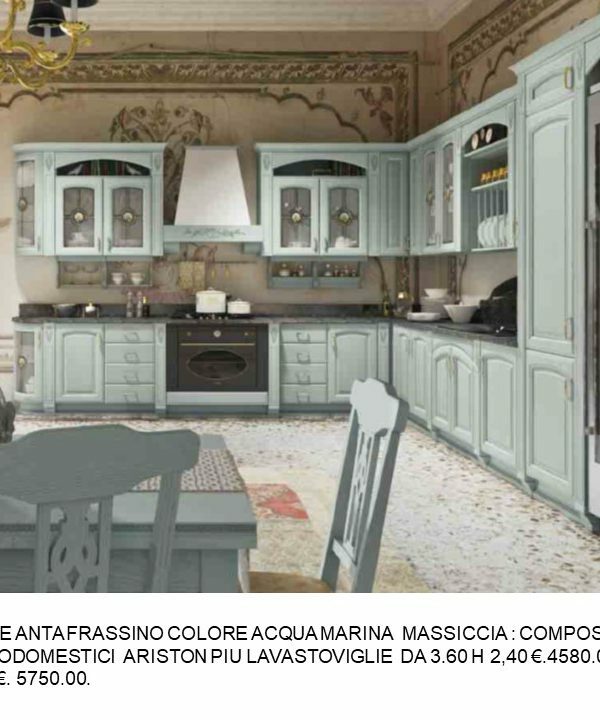 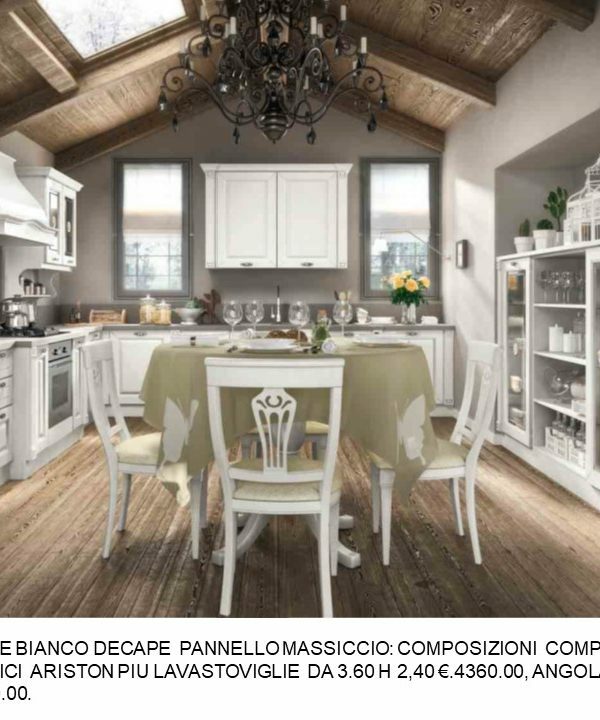 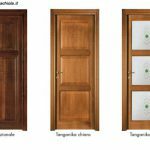 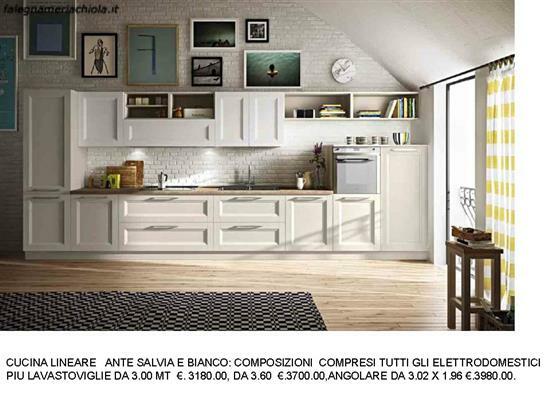 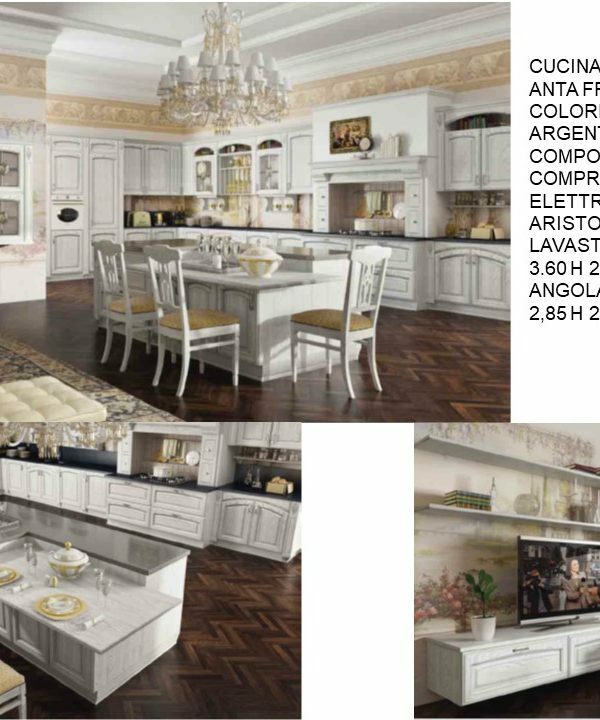 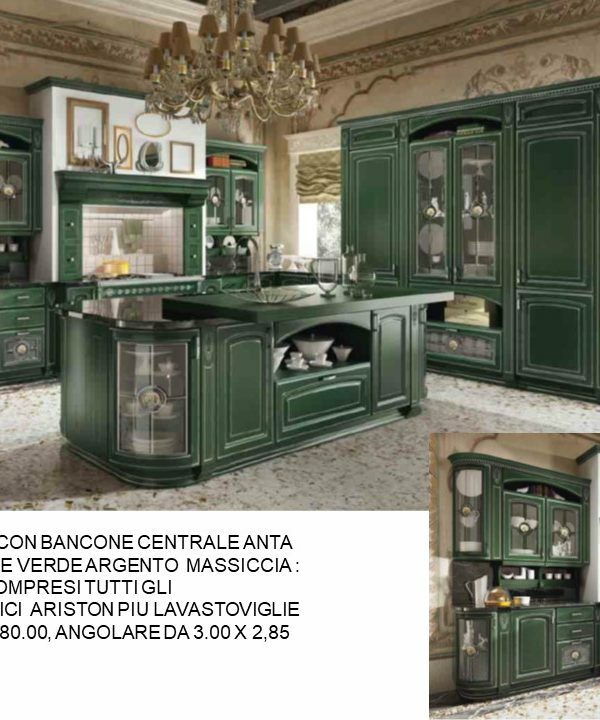 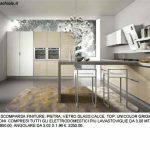 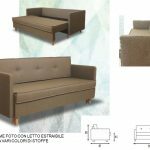 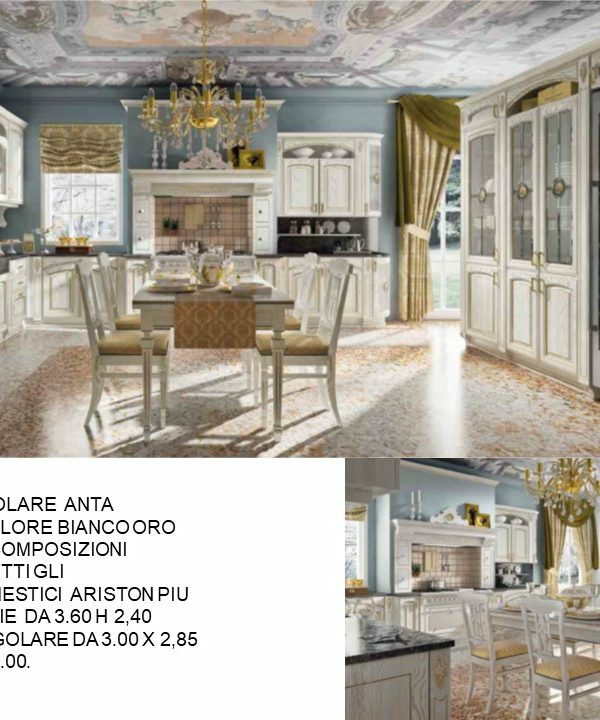 CUCINA MANIGLIA A SCOMPARSA PIETRA N. 48 M. H.
CUCINA LINEARE ANTA SALVIA E E BIANCO N. 180 C.H. 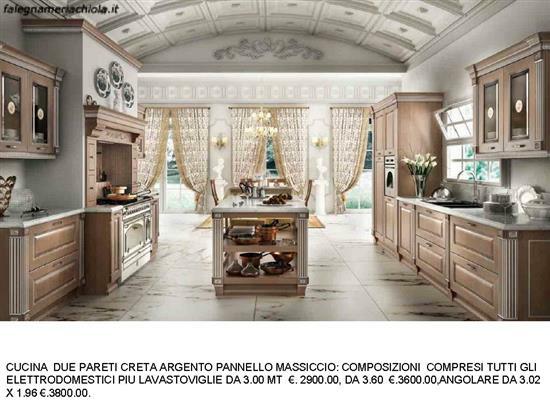 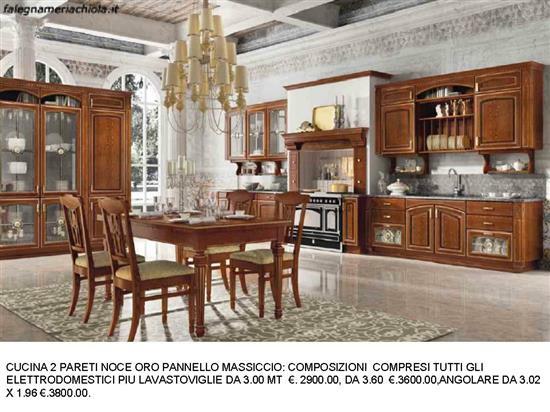 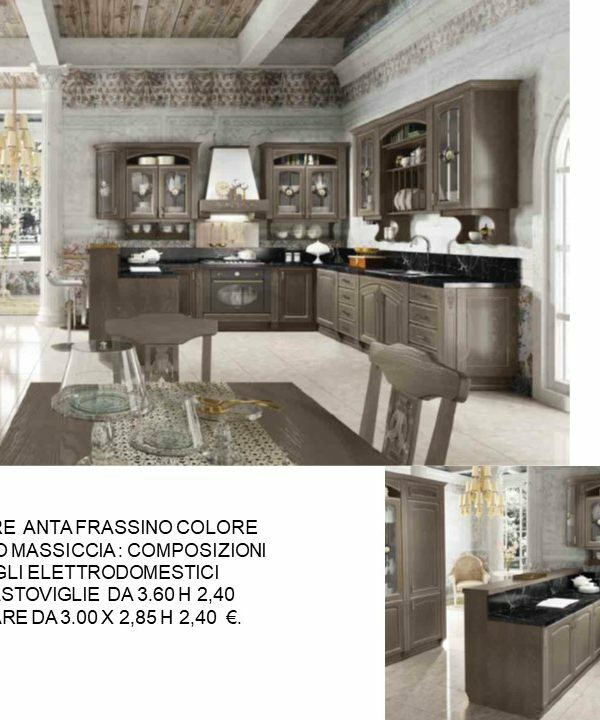 CUCINA 2 PARETI CRETA ARGENTO N. 177 C.H. 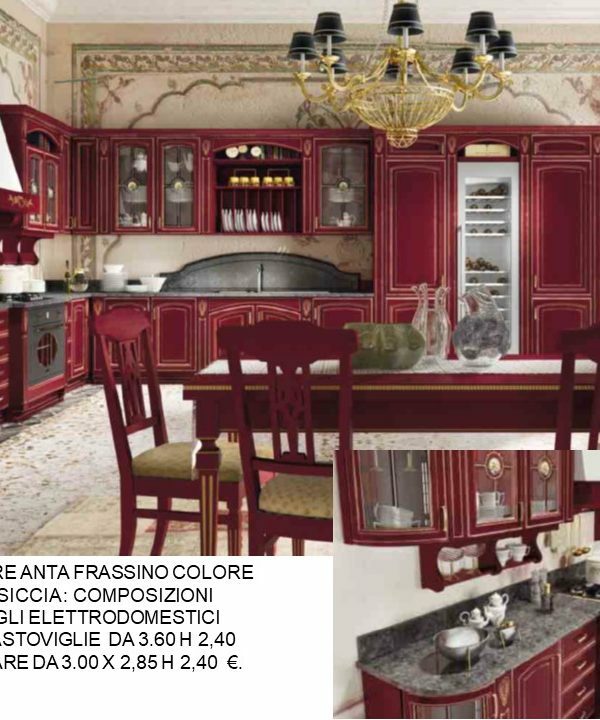 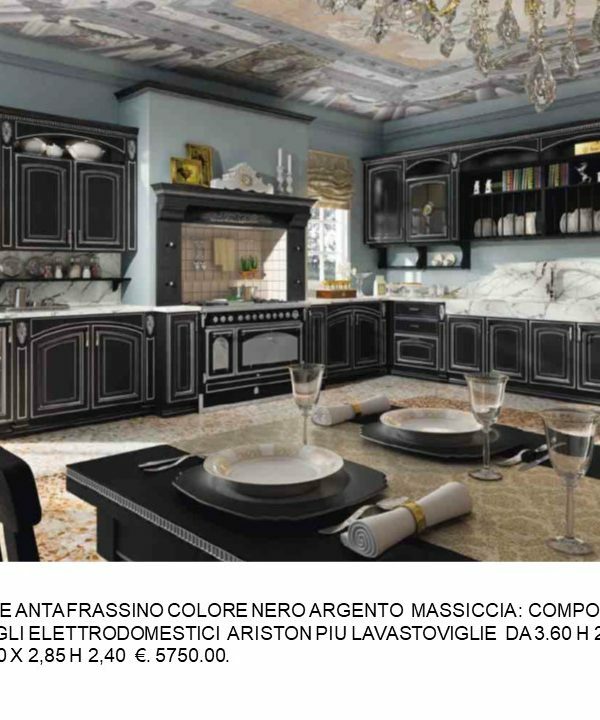 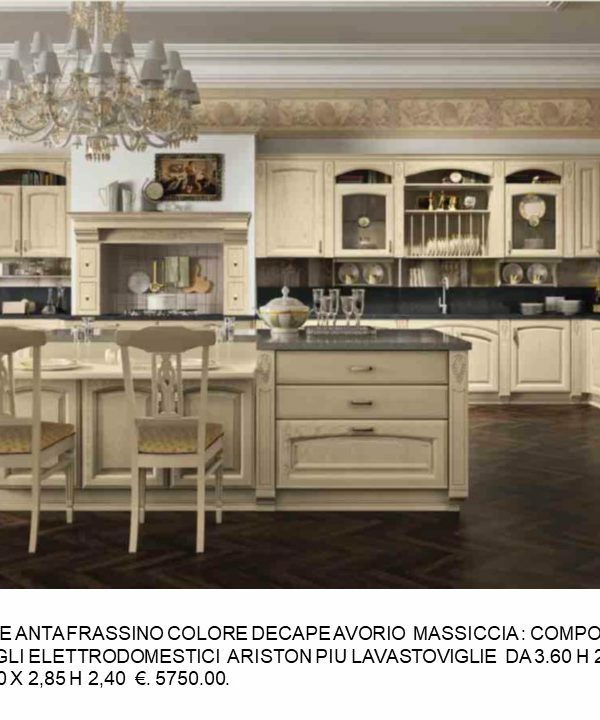 CUCINA DUE PARETI COLOR NOCE ORO N. 165 C. H.